Global PR agencies have had a tough year but some have fared better than others. Arun Sudhaman researches how the key players have performed. By and large, this has been a year to forget. PRWeek's Global Agency Report Card tracks performance of the world's key networks from August 2008 to July 2009. A closer reading of the situation suggests big is no longer necessarily beautiful. 'One wonders whether in these difficult times, big groups have had to spend more management time internally,' says Hunt, while noting that the advantages of size can never be discounted. This helps explain a clear demarcation that appears to exist among global networks - between the big agencies with an office in each market, and the smaller players that still seek the critical mass that enables genuine global client servicing. PRWeek runs the rule over global network performance covering a year that few agencies will have trouble remembering. The evaluation was further supplemented by qualitative research from PRWeek's editorial team. Twenty-five years after launching, APCO progressed during a 12-month period that is expected to culminate in a new positioning strategy. New business was led by wins of Dow Corning Solar, the MasterCard global consumer education brief, Western Union Europe and GlaxoSmithKline's online growth. The Malaysian government also charged it with leading global comms. Larry Snoddon took over Asia-Pacific CEO duties alongside a new China team, and several appointments were made to its International Advisory Council. There is little doubt Brunswick has felt the impact of the recession as the financial market's leading M&A adviser. Brunswick has retained this position, topping Mergermarket's global M&A tables for the first half of the year. The agency was in on InBev's bid for Anheuser-Busch, Barclays' purchase of Lehman Brothers' US businesses and Pfizer's acquisition of Wyeth. It remains the leading financial adviser for UK FTSE 100 firms. The firm is gradually expanding from financial PR into public affairs and corporate comms markets. Burson-Marsteller's focus on corporate and public affairs held it in good stead. While the agency asked for its key account wins to remain confidential, new business from AIG, Huawei and HP's Technology Solutions Group have all been reported. The agency is hoping a focus on research, in tandem with Penn's Penn Schoen & Berland operation, will spur continued growth, and attempted to bolster its healthcare credentials by launching a dedicated lobbying unit. Former White House press secretary Dana Perino joined as chief issues counsellor. Burson also acquired Middle East firm Asda'a. Citigate remained one of the top names in corporate and financial comms in London, with a network of smaller operations in Europe and Asia. But owner Huntsworth has announced it plans to expand the brand globally over the next 18 months to take on FD and Brunswick. Citigate started this expansion by pushing into the Middle East with new offices in Dubai and Doha. Previously one of the market leaders in bringing international firms to the London Stock Exchange, the agency was hit by the plummeting IPO volumes. It was a busy year for Cohn & Wolfe, following the merger of C&W, GCI Group and Axicom. The agency lost its ten-year hold on the British Airways Northern Europe account owing to budget cuts, alongside senior UK healthcare staff cuts. But it pulled in nine multi-market clients including the European account for breast cancer coalition Europa Donna, corporate work for Hyundai in the UAE and Kuwait, and Heinz in the UK. Growth included product launch work for Astra Zeneca and Dell. The group established a presence in 13 new EMEA markets. The last of the big independents used its private status wisely over the past 12 months, investing in digital and branding, and employee development. The overall result was stable global revenues, with growth in the US and Asia-Pacific. Edelman managed to secure important new briefs, none more so than HP's PSG business. Other key wins included Amtrak and eBay in the US, alongside PepsiCo's global corporate/public affairs account. A strong awards haul included US Agency of the Year, and a place on Advertising Age's A-List. Less a network than a collection of individual offices, Euro RSCG Worldwide PR named a new global head, COO Nathalie Biderman, to run the network. Big wins tended towards local successes - Google Australia, Chinalco and Hitachi in the UK. The agency also turned its attention to the Middle East, with new offices in Abu Dhabi, Dubai, KSA, Bahrain and Qatar. After losing North American CEO Lisa Sepulveda to Weber Shandwick, Euro RSCG hired Porter-Novelli's Marian Salzman as president for North America. FD saw revenues fall owing to tough global conditions, but remained committed to its international network. Late in 2008 the firm made a handful of UK redundancies, but it still opened five new offices (including Qatar, Shanghai and Los Angeles). Its most significant international hire was David King as chairman of its Middle East operations. A chunk of its new business came off the back of its establishment of a European restructuring and recapitalisation practice. FD topped the Mergermarket first half global M&A league table in terms of deal volume. Winning Philips globally constituted the year's highlight, while a slew of other new accounts - Aviva, Government of Brazil, Hyatt, BA and Huawei - provided evidence of improving global network cohesion. Fleishman scored a spot on Unilever's global roster, and introduced global healthcare brand, TogoRun. The firm's US revenues still dwarf other regions, but EMEA and Asia-Pacific are growing at a healthy rate - with the latter operation being recognised as Network of the Year in 2008. Wholly-owned sister agency GMMB played a critical role in bringing President Barack Obama to power. Steady rather than spectacular, GolinHarris caught the industry's eye in Europe where it elevated London co-MDs Jonathan Hughes and Matt Neale to see if they could repeat their success across the region. Early signs were encouraging, with new business from Nokia, Orange and Wrigley - along with a coveted spot on Unilever's global roster. Elsewhere, GH snared Zicam and National Association of Music Merchants in the US, and landed a place on the Walmart consumer roster. In Asia, the agency welcomed a new VP in Beijing. Grayling's year was transformed by the decision to integrate it with sister shop Trimedia. The Grayling brand will remain intact, with Trimedia international CEO Michael Murphy taking on global CEO duties, and Grayling chief executive Nigel Kennedy moving to vice-chairman. The decision was thought to have been driven by its relative inability to compete for global clients - best illustrated by the BA pitch that saw Grayling lose Asia-Pacific duties. It extended its US services by merging with Huntsworth sister agency Global Consulting Group. H&K continued to focus on emerging markets to good effect. Over the past year it acquired former associate IPAN in India, opened an office in East Africa and began launching operations in China's smaller cities. The moves included the rollout of practice areas focusing on sustainable enterprise, financial crisis comms and Chinese companies aiming to go global. The agency declined to provide details of new accounts beyond company names - but key global wins are known to include Haier, Tata Communications, Intercontinental Hotels Group, and a spot on the LG One team. H&K claims more than 60 per cent of its business involves working for a client across two countries or more. Announced in June, the global merger of Ketchum with Omnicom-owned sister agency Pleon created what is believed to be the largest comms consultancy in Europe, with more than 2,000 employees in 66 countries worldwide. Full integration is expected by year-end. Ketchum also acquired Access Communications in the US and formed a strategic partnership with Japanese advertising agency Hakuhodo. It claims to have had its strongest financial performance in its 85-year history in 2008, but all eyes will be on the agency for its post-merger figures. Last year Gavin Anderson morphed into Kreab Gavin Anderson and illustrated its desire to build its public affairs capability. It also acquired Norwegian comms firm 20:20 Communications. Gavin Anderson traditionally had strength in the Middle East and Asia - bolstered by the opening of two offices in Saudi Arabia and the hire of Tom Grimmer from Credit Suisse as managing partner for China. The firm lost its Alliance Boots financial PR account late last year, but benefited from its global footprint and ownership as part of the consortium of Omnicom firms that won the multi-million pound global account for Philips. Touch economic conditions did not slow Lewis' expansionary zeal, which saw the rollout of three new operations in Bristol, Warsaw and Tokyo. The moves brought the agency's global network to 39 offices. Key wins included BT Design in the UK and Riverbed across Europe, along with Tessera in the US and Europe. The agency established a global client advisory board that it now draws on for 'expertise and views'. Lewis remained a strong tech player in Western markets; translating that success to other parts of the world will be a key challenge. It was a year of change at MS&L, which bade an abrupt goodbye to global CEO Mark Hass in early 2009. Senior Publicis Groupe executive Olivier Fleurot stepped in with a brief to integrate the network with sister agency Publicis Consultants. New business was dominated by the loss of the agency's global Philips account, although it won worldwide clients such as Nestle Crunch, Brand South Africa, the Global Health Fund and Coca-Cola's Olympic comms. MS&L also created a global digital unit that integrates with sister Publicis Groupe agencies Digitas and Publicis Modem. The Ogilvy machine rolls on, with Asia-Pacific CEO Chris Graves announced as the agency's new global supremo succeeding CEO Marcia Silverman. New global business included the Lance Armstrong Foundation, Chevron, and a spot on the LG One team. EMEA remains the network's Achilles heel, with Ross Cathcart arriving from Edelman as corporate director, and a new office opening in Denmark. The agency also made a splash with the launch of its environmental unit OgilvyEarth. It was a turbulent 12 months for Porter Novelli, during which it saw a weakening in its global HP relationship, and lost hold of its BA account in the UK. Key new clients included the American Lung Association, BT, Johnson & Johnson and Centres for Disease Control. The agency forged a new partnership with digital start-up PN Digital Labs. This resulted in some strong social media work, for SXSW Interactive, PepsiCo, P&G and London Digital Week. 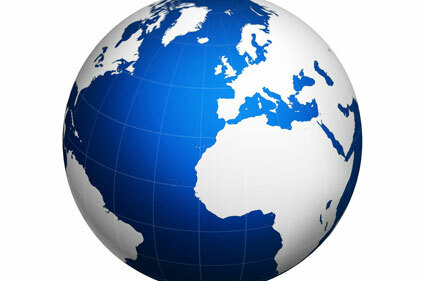 Other developments included the relaunch of global affairs services in its US practice. Not so much a network as a collection of Euro-centric agencies, Publicis Consultants ushered in new leadership after Eric Giuily's sudden departure earlier this year. Publicis Groupe executive Olivier Fleurot took charge, and immediately said he would integrate the agency more closely with MS&L. Publicis Consultants leans heavily on its strength in France, which accounted for seven of its top ten account wins - including AXA, Carrefour and Medef. The big exception came from the UK, which snared a Coca-Cola corporate comms account. It was a year of growth for Ruder Finn in 2008. New healthcare account wins included a global appointment with drug firm Novartis. It was also hired by pharma firms Merck and Solvay for US and global work. New developments in the agency's US offices included the appointment of Jessica Berk Ross as MD of the DC office. The agency expanded its client offering with the creation of RF Relate, a social media platform, and an online Intent Index research study. It was a relatively stable 12 months for Text 100. The launch of Text Life - the agency's first major training overhaul in a decade - significantly upgraded its training capabilities, and Text scored highly on various best places to work surveys. New business included Sandisk Europe, ST Ericsson and AMD across Europe and Africa - helping to plug the hole left by Philips' departure. The growth in the agency's Indian outsourcing unit indicates it is unafraid to respond to budget cuts with pragmatic solutions. The agency saw significant growth in the US, and remained in sound shape across Europe and Asia-Pacific. A year of considerable flux for Trimedia ended with the announcement that the agency would be folded into sister agency Grayling. CEO Michael Murphy will head Grayling globally. The network was strengthened by the acquisition of PGA Communications in Geneva, and it picked up new business in the shape of Heinz, Nestle and Primark. The agency was also recognised as best European PR Consultancy in the European Excellence Awards. Closer working relationships were initiated with sister company Mmd and a global affiliate network developed in America, Asia-Pacific, the Middle East and Africa. In the UK, a number of account losses tempered its performance. The world's second-biggest independent PR firm, Waggener Edstrom employs more than 500 people across the world. It scooped Microsoft's global £2.7m mobile brief, Chevron's US PR business, and Lifesize Communications across the US and EMEA. A slew of new hires took place, including Chris Talago's ascension to EMEA GM and Susanne Smith and Jaycee Pribulsky being appointed to V-P roles in the US. The agency formalised its digital Studio D practice, but lost two EMEA digital directors in a year: Ged Carroll and Paul Armstrong. The Interpublic Group's core agency remained in rude health after global growth during the past 12 months. Weber Shandwick's top 40 global clients grew by ten per cent, with its network cohesion demonstrated by the fact that more than 70 per cent of its client programmes now operate in multiple markets. Key wins included corporate and consumer briefs for Microsoft EMEA, along with public education duties for the Elizabeth Glaser Pediatric AIDS Foundation. Award wins included an inaugural Cannes Lions trophy, and seven IPRA Golden World Awards.